Unless your home is brand spanking new, you’re probably wasting energy through inefficiency. Solar power is a great way to reduce your energy bills, but you won’t get as much bang for your buck if your home is energy-inefficient at the outset. According to the U.S. Department of Energy, you could be throwing away as much as 71 cents of every dollar you spend on heating, and 46 cents of every dollar you spend on cooling. Yep–that money goes right out the window (and the door). To keep your home warmer in the winter and cooler in the summer, you need dual-pane windows and a solid door that keeps drafts out.  If you decide an upgrade is in order, look for windows with a rating by the National Fenestration Rating Council. They should have a minimum U-factor rating of 0.30 and a Solar Heat Gain Coefficient rating of 0.30. Yes, incandescent bulbs provide a warm, flattering glow. They also drive up your energy bill. In fact, San Diego Gas and Electric has found that lighting makes up as much as 20 percent of home energy bills. To cut back, you have two choices–learn to embrace candlelight, or make the switch to LED or CFL bulbs. CFLs (compact fluorescents) got a bad rap for buzzing and humming, but newer, Energy Star certified versions don’t have that problem. And the bulbs now come in different color temperatures. You don’t have to settle for harsh white light. LED (light-emitting diode) bulbs are expensive, they can last tens of thousands of hours, and they cost much less to run than traditional incandescents. Worried about the potential for mechanical fail after you’ve spent up to $25 on a bulb that’s supposed to last a decade or more? Look for a manufacturer’s warranty. Both Cree and GE make LEDs that carry 10-year warranties against mechanical defects. Learn more about which bulb is right for you. Older homes were frequently built with insufficient roof vents. That made it easy for hot air to get trapped in the attic, which meant you would have to spend more to keep the rest of your house cool. A properly ventilated roof reduces heat buildup and eliminates moisture to keep your home cooler and more comfortable when it’s hot outside. And, when you combine a properly ventilated roof with a solar attic fan and a fixed thermostat, you can qualify for a federal tax credit. Each home is unique, and each homeowner uses energy in different ways. At RC Energy Solutions, our goal isn’t to simply throw up a bunch of solar panels and call it a day. Instead, we assess your current and future energy needs, provide suggestions to improve efficiency, and carefully design a solar solution that fits your needs–and your budget. Contact us for more energy-saving tips or to schedule a consult for your free home energy consult.